Those of us who are addicted to reading constantly yearn for the moments of striking it rich, where that nugget of gold appears and gives rise to a rare treasure. 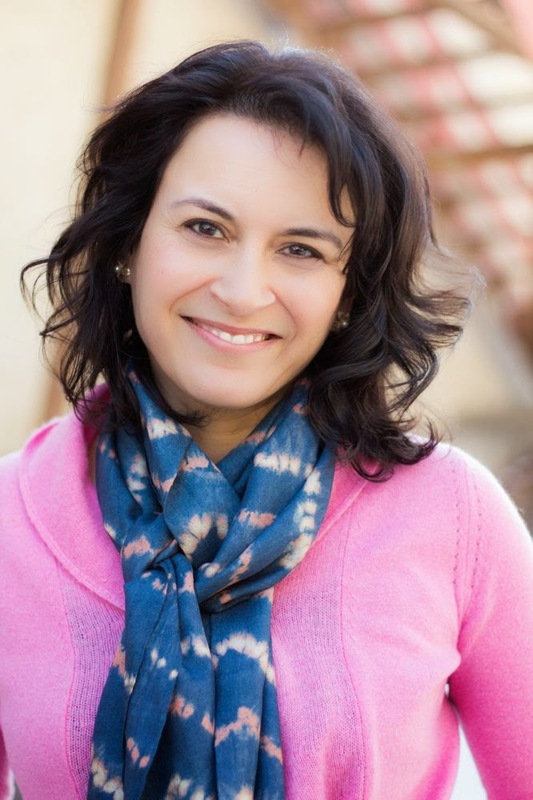 Today I am sharing such a nugget with you, as it is my great honor and pleasure to be interviewing Sujata Massey, author of The Sleeping Dictionary, a novel of exquisite beauty and courage. Sujata, your popular Rei Shimura series is a mystery series set in Japan. Why did you decide change course to historical fiction in The Sleeping Dictionary? And why this particular story? I have always loved reading historical fiction, so it seemed that after writing 10 mysteries, it was a good time to try something new. I’ve always been interested in writing about diverse communities—my Japan books always feature a variety of nationalities going through the Tokyo experience—so the British colonial period allowed me to explore ideas about race and mixing in India. I also feel there aren’t many tales of this colonial time told from an Indian woman’s viewpoint…especially a woman who was a player in both the government establishment and the freedom movement. So I was happy to jump in and do that. Julia Spencer Fleming, author of the outstanding Clare Fergusson/Russ Van Alstyne Mysteries, has said that when she was learning to write mysteries, your first book in the Rei Shimura series, The Salaryman’s Wife, influenced her in her approach to location, and that she still cites it when teaching. The locations of India, from the small Bengali village of Johlpur to Kharagpur to Calcutta were so vivid in The Sleeping Dictionary that I wonder what were your major resources, including traveling for bringing India of the 1930-40s to life? Wow, this is a great compliment and surprise. As far as the locations in my novel, the only place I really knew was the capital city of Calcutta, my father’s family’s home base and a place I’ve visited four times over the years. Johlpur is a fictional Bengali village based on novel and nonfiction accounts of early 20th century village life. I visited Kharagpur and Midnapore just once, but it seemed most of the old places I was searching for were rebuilt, so I relied on early 20th century guidebooks and memoirs written by Indians and British, and photographs and blogs by Anglo-Indians who’d grown up in that area. The cover of The Sleeping Dictionary is so beautiful. How did it come about? I have the trailer from your Web site to share. What do you think of trailers for books? Will there be more for the rest of the Daughters of Bengal series? I can’t afford to pay for book trailers; I hear the cost is about $1000 per minute! Simon&Schuster put together that interview and the old pictures into a kind of book trailer. It was very kind of them, and I like the result. We’ll see what happens in the future regarding trailers for other books. I think trailers are neat to put on web pages and share as Internet links, but I’m unsure whether they inspire people to buy books. At the very least, though, trailers are a way to build awareness of a book’s title. As her identities change in book, Kamala changes her name, too, to reflect these changes in her stations. How important are the characters’ names in your books to you, and how did you choose Kamala’s different names? India is a place where people might go through life with a variety of names called by their immediate family, the school and work community, and the family they marry into. The narrator is a little girl who starts out being called “Pom” by her family. When Pom shifts to a boarding school she’s renamed by the headmistress as “Sarah” as part of her Christian conversion. There’s a 1740 novel by Henry Richardson called Pamela, or Virtue Rewarded, about the danger of beautiful young girls becoming exploited; this influenced my decision for Sarah to be called Pamela in the book’s third section. Finally, she chooses a name for herself, Kamala, to cut ties completely with her past. In Sanskrit, Kamala means “lotus” and is also an alternate name for the Goddess Lakshmi, the Hindu deity my narrator sometimes calls on for help. Tell us some about your research for The Sleeping Dictionary. I immersed myself as best I could in the language, setting, clothing and historic events of 1930s and 1940s Bengal. This was accomplished by reading old books and newspapers and interviewing some historians and elderly people over a four-year period. I traveled to find documents and people I needed in London and India, but the bulk of work was done in Minneapolis, MN, through conversations with my father, who was born in India during the colonial period, and using the fabulous Ames Library of South Asia within the University of Minnesota. I plan to visit the Ames library again next month to look for material to help me with my next India historical. I’m so excited! You’ve said that there was much more material to the original text than made the final cut, and I thought what was included was just the perfect amount. How hard was it to let go of that material? It was sad to let go of a couple hundred pages that I had spent months on and that was written with a lot of enthusiasm. Especially since in the realm of international literary fiction, some very long books have been published! Were these long books big sellers, though? Not always, and paper is a big cost to publishers, and shelf space is a cost to booksellers. The book I did finally produce--about 450 trade paperback pages—is probably long enough for most people. Fortunately, I was able to rework some of the removed material into a novel, The Ayah’s Tale, which is currently an e-book and will be part of a paperback anthology very soon. While I was reading The Sleeping Dictionary I wasn’t aware that it is the first in a series. What can we expect next and in the coming books after that? I hate to let go of great characters, so I had an idea of a series of books featuring Kamala’s descendents. But I’ve also got a very pressing idea for another series set in India during the 1920s and ‘30s. For the time being, I’m running with this second idea and in time I hope to have the wisdom to do a book featuring Kamala’s daughter set in the 1950s. But one thing I’ve learned in this business is that ideas and books can’t be rushed. Books need time to marinate. Are you a plotter or a pantster? Are outlines a part of your writing at all? Did you know where Kamala was going to end up in The Sleeping Dictionary when you started? I’m a moderate (not extreme) outliner. This means I usually write a couple of pages of what I think will happen in a book and who the characters will be. Things do change along the way, but this kind of a roadmap makes it easier to stay on track. I’ve always wondered why such book summaries as I’ve described are called ‘outlines.’ In my opinion, they are closer to synopses. A lot of publishers would like to see an outline as well as a few chapters when deciding whether to give a writer a book contract. But my agent does not like to look at an outline, because when she reads the book the first time to give me feedback, she wants to do it from a more natural viewpoint and not see the twists and outcomes ahead of time. Can you tell us tell us a little about your writing process. Any particular schedule to which you adhere? Do you have a set number of hours or words you strive for each day? Any quirky writing habits you care to share? I look at my upcoming week’s calendar every Sunday. Any time I’m not involved in chauffeuring or otherwise taking care of my children is either scheduled for writing, cooking/grocery, or exercise. Well, to be honest, exercise has taken a backseat to other activities this summer…and don’t ask me what MY backseat looks like after two months with no spinning or toning classes. Ideally I do all these things—cook, write, chauffeur, errands, help kids with homework, and exercise—in one day. I’m pleased if I write 1000 words a day or 6000 words a week. I sometimes write for very short periods of time such as a half -hour, because I don’t have big blocks of uninterrupted writing time. I also can write very early and very late in the day, and under noisy conditions and in public waiting rooms, because I’m just so desperate for any time at all to myself. Do you have a favorite part of writing? Hardest part? My favorite part is pretty straightforward. It’s finishing a productive writing session of at least 3 hours (sometimes more) in which story flows without too much trouble. The hardest part is getting to work every single day to even get a page done. It’s easy for books to stall. I wish I were an eight-hour-day writer, but I have too many other jobs to take care of for that to be possible. After having children, the Indian side of my heritage (my father is from India) became more important because I was involved in cultural activities and holiday celebrations. Getting closer to India like this slowly built the ideas and motivation to write The Sleeping Dictionary and to continue exploring India and its fantastic history. If I were able to live for an extended time in India, and not just visit, it would be absolutely ideal for work, but that opportunity will probably not come until my children are out of the house. Can you remember your first story you ever wrote? Feel free to go back to childhood for this one if you like. Hmm. This is kind of embarrassing, but it was a 300-page-plus novel I started at age 13. The book was set at my junior high school after it was hit by a tornado…and an extremely handsome and perfect 9th grade guy and I had to save everyone. It had no title, but was a love story and disaster story rolled into one that my sisters delighted in sneaking out from its hiding place and reading with gales of laughter! Do you attend any conferences? If so, what is your favorite? Where can we reading fans catch you the rest of this year? I’m often at Malice Domestic, a long-lived cozy mystery convention with a lot of enthusiastic readers not far from my home in Maryland. I wish I could find a historical fiction convention in the United States—it would be pretty thrilling to meet historical authors I admire learn more about the craft and connect with readers. I have an author newsletter that comes as a free email every now and then which gives its readers an exclusive or the first shot tat upcoming events and promotions such as raffles and flash sale prices on e-books. What would you like to tell us about yourself that isn’t in your bio material? 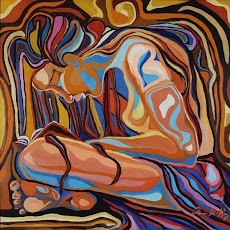 While I crave “alone time” in order to write, I’m very social in the off-hours and enjoy hosting and attending dinner parties, neighborhood happy hours, book signing parties, coffee klatsches, afternoon teas, potlucks, barbecues and benefit dinners. Usually when I go out somewhere, I have it in mind that it will be an enjoyable time. And it is. In your recent newsletter, you talked about cooking with cilantro, and there are recipes shared in your writing. Is cooking another talent or passion of yours? I’ve enjoyed cooking since I was a girl because both my parents cooked together and were excellent at it. I grew up eating fabulous international food, an experience I’m trying to replicate for my family though my kids sometimes complain about it. I want to give a shout out about Indian cooking here! Anyone interested in learning to cook this delicious cuisine can start out with Madhur Jaffrey’s cookbooks. Her recipes are easy and delicious. It’s super-quick to get recipes from the Internet now, and I’m as guilty as everyone else at Googling “cucumber soup,” but carefully developed and tested recipes in cookbooks are essential to keeping serious, authentic world cooking alive. The people who produce cookbooks are authors we must support! Can you tell us about your next book and when we can expect it? 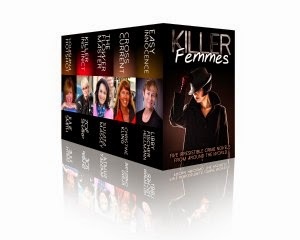 You’re also part of a book bundle called Killer Femmes. I’m listening to the audiobook of The Valley of Amazement by Amy Tan, an historical novel set in early 20th century China. The paper books halfway-read on my bedside are: Niranjan Pal: A Forgotten Legend & Such is Life, an autobiography of the late Indian playwright/screenwriter; and Ayya’s Accounts, a memoir-biography of a South Indian merchant, M.P. Mariappan, told by him and his anthropologist grandson, Anand Pandian. The latter two books are research relating to my forthcoming work, although they are also a pleasure to read. Any upcoming promotions for readers? To say that I fell in love with this book is not an exaggeration. It is one of the most beautifully written, soulful stories that I’ve had the pleasure to read. There are those books that are so special, so captivating, that you know it will forever be a part of you, and you will be perpetually indebted to is author for its creation. Where were the Pulitzer people last year when this book was published? Sujat Massey knows how to start a book, end a book, and, so importantly, how to include the perfect amount of story between beginning and ending. 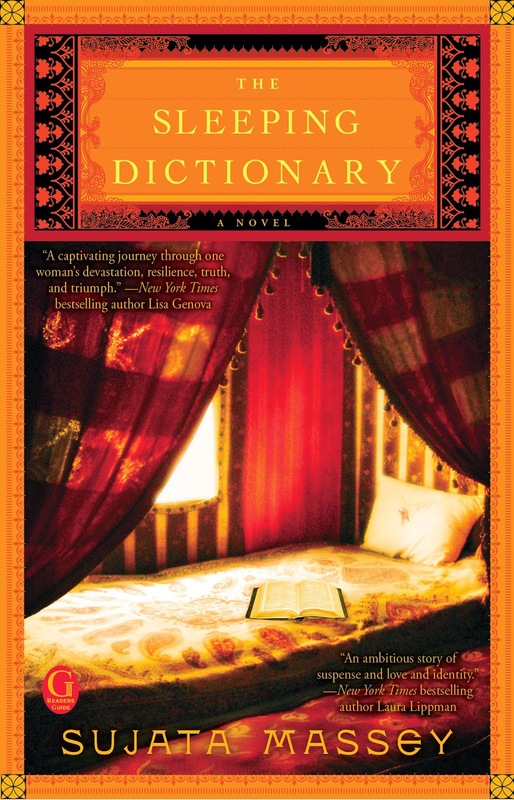 In her comments about writing The Sleeping Dictionary, Sujata admits that there was some extraneous material she had thought of including, but, thankfully, through her good sense and astute editors, she pared it down to what makes it a novel of exquisite style and content, avoiding a cumbersome tome of good and bad. It is simply the good, and the good is great. The Sleeping Dictionary is a profoundly moving story of heartbreak, courage, loyalty, betrayal, love, hate, loss, recovery, hope, despair, and victory against the odds. It is historically epic, taking place over the last seventeen years of the British Raj rule in India, which began in 1858 and ended in 1947. Massey shows us how much more it was than just the British oppressing the Indians, how the caste system marked its people, and how the interaction of Muslims, Indians, and Anglo-Indians all played a part in limiting its native-born citizens and freeing them, too. This fascinating story follows an Indian girl from the age of 10 through 27, showing the transformation from one identity to another as Kamala struggles to survive and find some meaning in her existence in a world that itself is rapidly changing. It will literally captured my heart and made me ache for the cruelties Kamala suffered along her journey. Her resilience is an amazing feat to follow. 1930 finds ten-year-old Pom living with her family in the small Bengali village of Johlpur, where her father farms rice for a landlord. Although her Hindu family is poor and low in the caste system of India, there are many poorer. Her family has just recently been blessed with the birth of a boy, the first in her family, and life is considered good. But, Pom’s world is literally turned upside down when a tidal wave wipes out everyone in her village but her. Near death herself, she is discovered by a Muslim man who works for a girls’ school some distance away. She ends up working as a servant at the school, where her name is changed by the headmistress to Sarah, as a more appropriate name for her surroundings. It is the first of several name changes and identities she will assume. Life is often cruel for the young Indian girl at Lockwood School, but it is also the place where she learns English, develops a love of reading, and makes a friend who has an important impact. It is the first stop in an education of both the good and the bad in life. Her next life experience will prove to be almost unbearable, but she keeps her eye on Calcutta and the hope it holds for a better life. Her name changes with her different identities and experiences, and she will go from Sarah to Pamela to Kamala, her final name, before the story ends. Kamala’s story is entwined with the liberation of India from the British, and, as a result, is in flux with the events of that historic time. Like all great historical fiction, readers will be affected by a desire to learn even more about colonial India and its long fought for freedom. Through Kamala’s life, I was able to encounter the different elements, good and bad, that was India during this period. Her courage and resolve are indicative of a nation fighting for its release to self government. I was first intrigued by the name of this book and its beautiful cover, and upon finding out to what the title referred, I was sure that this was a book I wanted to read. I was rewarded with a setting, cast of characters, and story that would mesmerize me from beginning to end. The author includes a Hindi/Bengali/English glossary and a cast of characters description section. Though the glossary might at first appear daunting, it is not, and I found it essentially helpful and never distracting. I thank Sujata for writing this book that has so enriched my reading life and given me a favorite for the ages. When you read this novel, don’t be surprised that you will want everyone you know to read this amazing book, knowing that their lives will never be complete unless they do. Wonderful interview, Kathy. Sounds like an amazing book! Thanks, Anna. I really appreciate you commenting. Oh, and I want to tell you that I was in a Barnes and Noble today, and they have Sense of Entitlement featured in the new mysteries section. It shows so well, and then people will read it and know just what a fantastic book it is. I would love to read this book too...hugs !!! I think you'd love it, Katherine! Thanks, Katherine. If you have a minute, click on the "join this site" button and become a follower of the blog. Another to add to my ever growing list! It's really an outstanding read! It does sound like a fascinating book. Thanks for sharing it with us! This novel kept me reading late into the night, until I finished. Thanks Kathy, for the recommendation, and the insightful interview! Dana, thank you for letting people know how much you enjoyed it. So happy you found it to be a compelling read and that you liked the interview. I remember you commenting on this on the LRK book club site and had forgotten the title and author. This is going on my TBR pile. So glad to hear that you're going to read it, Karen. Remember that there will be two copies of The Sleeping Dictionary given away from this blog, both signed and sent by Sujata Massey. You're already entered once from commenting here. You can also enter by sending Sujata an email with the subject line "Bookaholics." I want to thank all of you for reading the interview and review. It was a great opportunity for me to think more about how and why I write. And we are now giving away 2 SIGNED BOOKS to readers! 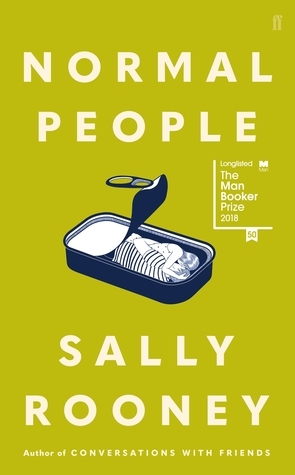 As Kathy mentioned, leave a note in comments in order to enter, and send me an email (sujatamassey@mac.com) with the subject line Bookaholics if you want to enter twice.